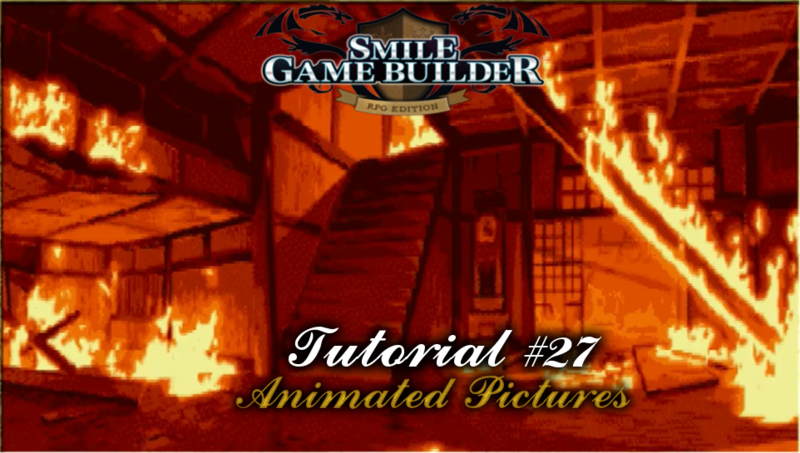 The Tutorial #27: Animated Pictures for Smile Game Builder is online. It’s just a short and simple technique to add animated images to Smile Game Builder. You could use these for a variety of things and effects, including titles and short cut scenes.